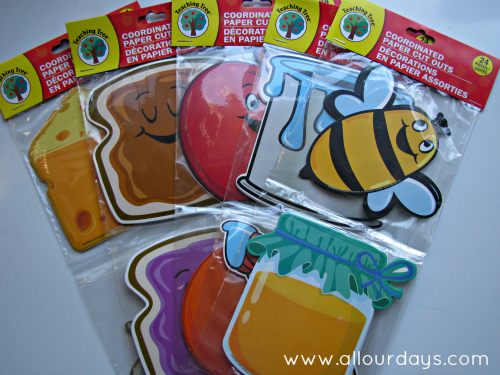 I recently found at these “Coordinated Paper Cut Outs” at a local Dollar Tree and thought they would make a quick and colorful busy bag for our toddler and preschooler to practice associating objects with each other. We’ve completed this activity together several times. Now the three oldest children can match the items on their own. They like to complete this activity together, each taking a turn to match. They use this busy bag independently, too. As with all busy bags, this activity comes out when I need to work one-on-one with a child or when I need to complete an activity while keeping the kids busy and out of mischief. The packages come with 12 pairs so this would be a great busy bag to make for a swap or simply to share with several friends. To make the pairs of objects self-checking, I used markers to color a dot on the back of each object. The objects that go together have the same color dot. This way a young child can check their own work–if the colors are the same, they’ve been matched correctly. 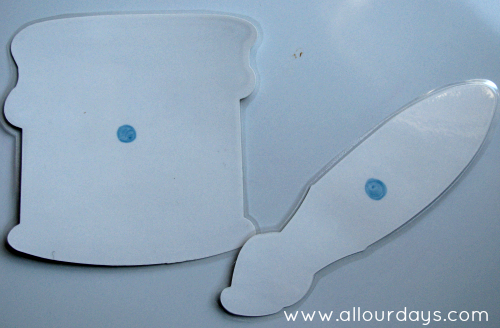 After that, I simply cut the pieces out and placed them in a ziploc bag. This activity can be stored in a quart or gallon sized bag. The gallon size bag is much easier for children to use, but if you’ll be the one taking the activity out, the quart will work. 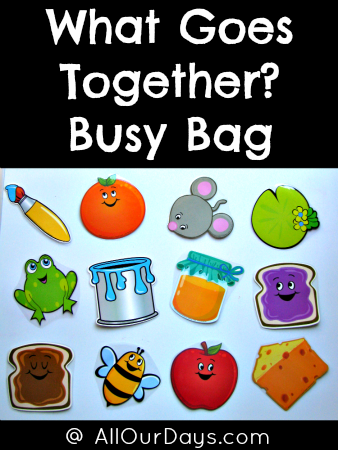 Be sure to check out all of our other busy bag posts by clicking on the buttons below. Do your children enjoy matching games? Leave us a comment below. Please let me know if you are willing to sell me 1 of each of them? I can’t find these ones at our Dollar Tree. They are adorable. LOVE THIS! I’m obsessed with busy bags. I’m trying to have a hundred made by the end of the year. We’ll See 🙂 Would you be interested in cross-promoting each other’s posts with links to each other’s busy bag ideas? What a great idea! I love laminating too! It definitely makes toddler learning toys last a whole lot longer. 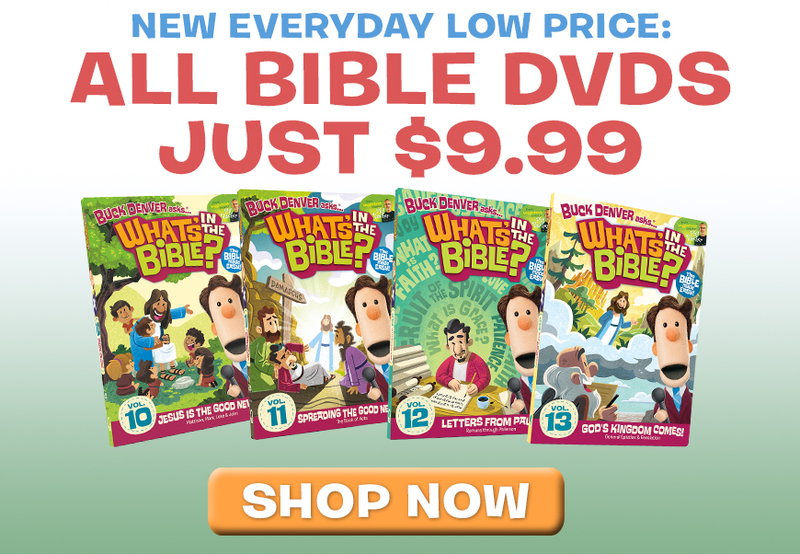 What a great find at the Dollar Tree! Thank you, Allyson, for linking up with the Mommy-Brain Mixer this week. Great, simple idea to get little minds working! What a fantastic idea.I can understand why Kids will love this. I love this idea! We practice the Montessori method at home quite a bit with our homeschooling, especially with the younger children, and this would be a great idea. I, too, have seen these many times and wondered what II could use them for – I knew there had to be something! I also thought about using them to make compound words, or matching together contractions with their original word pairs. 🙂 Love this! Great ideas. I love finding new uses for Dollar Tree supplies. Great idea!! Linking up with you on Kayse Pratt. I host a link up on Tuesday (Pinterest Tuesdays) I invite you to stop by and link up any project, recipe or anything that can be pinned. That is great!! I was at my dollar store the other day and I think I saw some of these and just knew there was something that could be done with them. I will have to run back up there in the next couple of days to get some! Thanks for sharing. You’re welcome, Lori! I love the educational section at Dollar Tree. I love this! I’m a fan of Any busy bags that I can make from the Dollar Store! I have to admit, I love the Dollar Tree. It’s so easy to find items to make learning fun. This is a really great idea. I’ll definitely be looking for these cards next time I go to the dollar store! Our kids have really enjoyed it. I bet your preschoolers would, too! I bought these a few weeks ago for the same purpose. I pulled them out and my little one said, “Thank you Mommy, thank you so much!”. He is thrilled whenever I get something new for him to do. 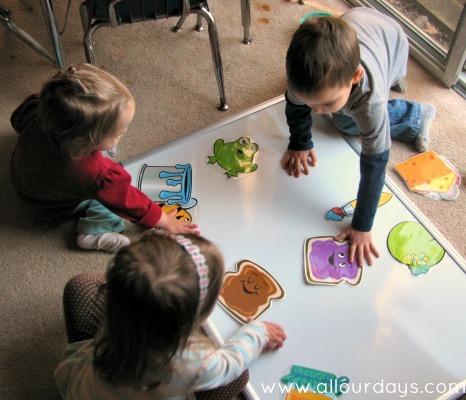 Our kiddos also love new learning toys and activities. I’m so glad your heart was blessed by his thankfulness. What a great reminder of the importance of expressing gratitude! I like this idea. I’ve gotten out of using our busy bags since Brian is off from work and plays with the younger kids during school time. I know I’ll be getting them back out in a few weeks when he’s not here during the day anymore.